Somos+, Jose Manuel Presol — If there is something shameful in our republican history, it is the events of 1912. Nothing much is being said about it, not even in the government’s current propaganda. It is mentioned, articles and books are published about it, although it is not widely exposed. Relatively few things have been written about it; the data, which is scarce at the source, are lost, and it is difficult to achieve an in-depth knowledge about it. Oral transmission is likewise poor, perhaps out of shame by some or out of fear by others. Whoever denies the significance of our compatriots of color in the War of Independence is blind. Their freedom from slavery, their recognition as citizens and all their rights as Cubans stem from it. Apparently, there was something deeper: friendship and brotherhood amongst whites and blacks who had jointly fought as mambises (patriotic fighters). Legal equality had been achieved, but not in reality. 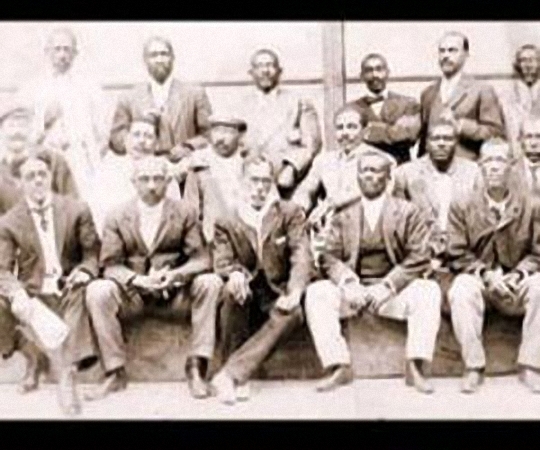 In 1902 began the creation of organizations in defense of the rights and interests of black people, such as the Black Veterans Committee, some of whose meetings were presided over by Juan Gualberto Gómez. In 1908 the Group of Independent People of Color was created, a rather more political organization, which on August 7 of the same year became the Party of Independent People of Color (PIC, according to its Spanish acronym). Its platform was not only anti-racist but also social, as it called for an eight-hour working day and general and free education. On the part of the State a black senator, Martín Morúa Delgado, filed a motion against that party, by considering a party based on racial principles to be unconstitutional, and the “Morúa Amendment,” modifying Section 17 of the Electoral Act was adopted and the PIC was declared illegal. Morúa, in his–likely honest–attempts to avoid social division, even forgot the continuous insults to which he and other black and mixed race senators and congressmen were subject. One of the most frequent was that in all receptions, these were directed to the guest and companion or mistress, while discriminating against their wives. Finally, on May 20, 1912, a PIC armed uprising took place in Pinar del Río, Havana, Santa Clara and Oriente to achieve their demands, although it did not contemplate the overthrow of the government presided by José Miguel Gómez. Originally no attention was paid to it, but the contacts initiated by Estenoz were in motion, and the Cuban government was warned that, in order to defend U.S. interests, armed troop vessels were being sent to Guantánamo and other destinations. Thus, the President ordered the army to intervene, which put an end to the uprising–to the embarrassment of all–by murdering all the black and dark-skinned mixed-race people encountered, whether or not they had participated in the revolt; it even removed peaceful workers from their homes and killed them in front of their families. The leaders of the uprising, Evaristo Estenoz and Pedro Ivonet, perished. Regarding the former there are versions that he committed suicide and that he died in combat; his body had a shot in the temple. Ivonet was simply murdered after being taken prisoner. It is not known how many victims there were. Some mention 60 victims, which could be ludicrous if we were not referring to human lives, others mention 6,000. The safest thing is that they ranged between 3,000 and 4,000. In order not to revisit similar mistakes and embarrassments, let us recall that we are all Cubans and it is no good to merely state it on a piece of paper. This is another pending change which has to be begun, as all changes, by ourselves.